A 68-year-old church deacon died Tuesday, hours after being knocked down the stairs at a north side El stop by a fleeing robber. Sally Katona-King answered the call of the church in a low profile fashion, serving as a receptionist in the bishop's office at the Evangelical Lutheran Church Metropolitan Chicago Synod in the 1400 block of West Dickens Avenue. "Everyone loved her," said Jeff Drake, Associate to the Bishop at the Synod, "She loved people. She cared about everyone." Drake said it was Katona-King's job to answer the phones at the headquarters of the synod and take care of much of the vital office work. 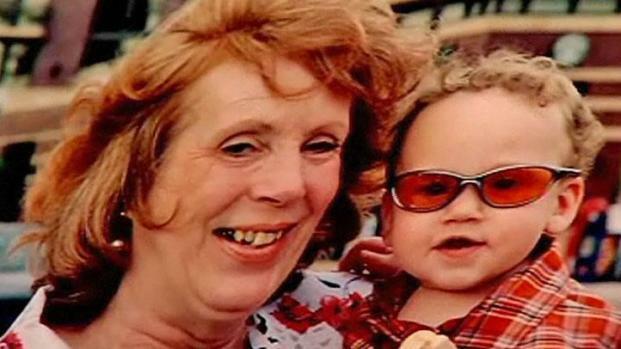 The deaths of Sally Katona-King's husband and a grandson never made her turn her back on others, her family says. 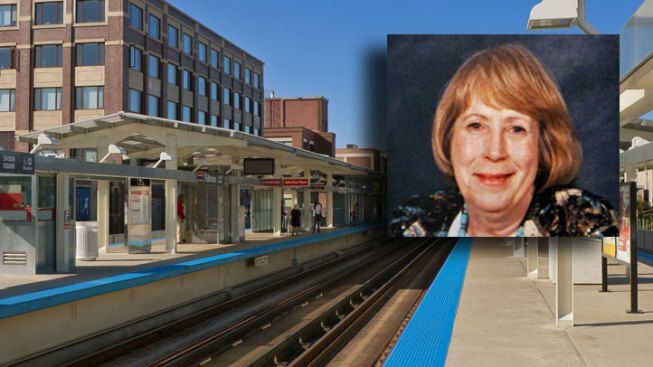 As he recalls, Katona-King intended to stop at the bank after leaving work Monday and then proceed to the Chicago Transit Authority's Fullerton stop for her trip home. Katona-King would never make the commute. She was critically injured immediately after two men fought over an iPhone. A robber grabbed the phone from another man and ran away, pushing and shoving commuters to make his escape, police said. Katona-King was knocked down the stairs and the robber ran east on Fullerton. Another woman, Ariane Ackerberg, said she witnessed the incident and immediately spoke with a transit attendant. "There was just a huge amount of blood and he also said there was a huge hole in her forehead . That's what he said, 'You know, I'm not sure if she's going to make it," Ackerberg recalled. Katona-King's deaths transcends multiple layers of Chicagoans. As the synod's secretary, she had direct contact with pastors at 200 congregations in Cook, Kane, and DuPage counties. But she also spent a great deal of time working with the homeless in Logan Square, where she served as a deacon at the First Lutheran Church in the 3500 block of West Fullerton Avenue. "She was a wonderful woman," said her pastor there, Eardley Mendis. Mendis descrbied Katona-King's death as the second shock of his life. His wife died in the 2004 tsunami in Sri Lanka. A mother of three and a grandmother to one living grandchild, Katona-King was revered as a talented cook and a great baker. She was married twice. Her first marriage ended in divorce. Her second husband was shot and killed by an armed robber in 1971. Police are now asking for help in identifying Monday's thief. The alert issued by Belmont Area detectives described him as a black man between the ages of 17 and 30. He stands between 5 feet, 6 inches and 6 feet, 4 inches and weighs between 130 and 210 pounds. He was wearing a black hat, blue jeans, and a black jacket with the letters "WS" on the back, the alert said. Anyone with information should call detectives at 312-744-8262. Funeral arrangements for Katona-King have tentatively been scheduled for Saturday morning.